Whilst the slew of twee female singer-songwriters continues to be ever present in our mailbag, it does mean that finding those needles in the hack-stack has become quite a joy. The latest sharp point to stand out is American Annie Dressner. She's from New York City but moved to the UK last year, which was presumably not for our weather. 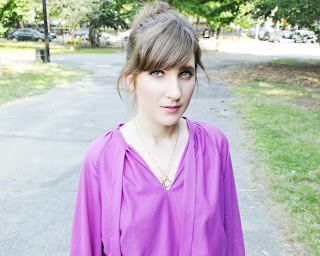 In 2011 she released her debut album 'Strangers Who Knew Each Other's Names', and has played numerous live venues both in New York, and across the UK since her move here. April 8th sees the release of her latest body of work, an EP titled 'East Twenties', which is co produced with Paul Goodwin. The EP begins with 'Heartbreaker', a song which lyrically deals with that well trodden sad subject, yet musically things are joyously upbeat, with warm sounding guitars and percussion, quite a lovely juxtaposition. Her vocal delivery throughout the record is almost conversational, allowing you to feel a sense of easy understanding and knowing of her songs. 'I Can't Forget' is a touching song that delicately deals with the feeling of loss, with the sincerity of Dressner's vocals shining as well as a beautiful cello emanating throughout. 'Flame' is the shortest track on the record at just over two and a half minutes, yet is feels the most full bodied of the songs put forward. 'Lost In A Car' closes things out in poignant fashion, dealing with more of life's troublesome issues, with Dressner's soft voice and delicate guitar proving hard to not get swept up by. 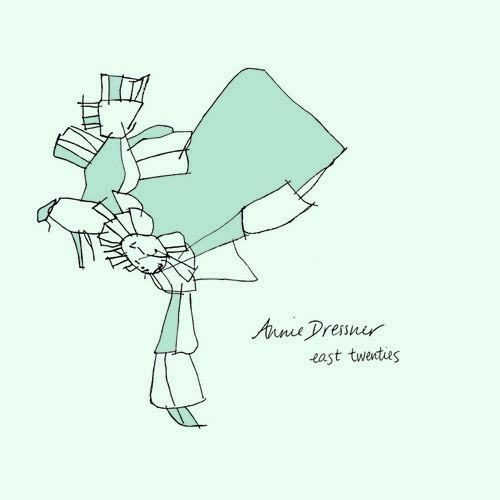 'East Twenties' is a record which makes you consider those events which have gone before you, taking you on a somewhat nostalgic journey through feelings which are most probably negative and upsetting. 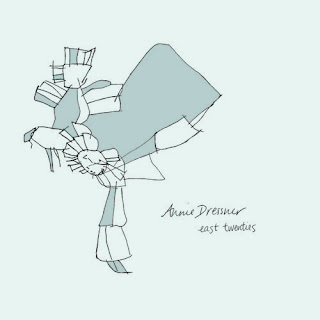 Yet the way in which Annie Dressner presents these four songs is refreshing, with her approachable style and musically upbeat nature leaves you with a positive feeling in the end.